Keratoconus is an eye condition that changes the shape of your cornea, blurring and distorting your vision. Ophthalmologist Chad Nedrud, MD, specializes in treating corneal diseases, including keratoconus, at Rocky Mountain Eye Center clinic in Missoula, Montana. For expert care of keratoconus, call or book an appointment online today. The cornea is the clear, dome-shaped tissue that covers the front of your eye and helps to focus light. When you have keratoconus, the cornea gradually thins and bulges outward into the shape of a cone. This change in the shape of your cornea may cause blurred vision that doesn’t improve with corrective lenses. Over time, more vision problems may develop, including halos, glare, and difficulty with night vision. Keratoconus may cause you to increase your eyeglass prescription more frequently than you normally would. The exact cause of keratoconus remains unknown, but this disease may be genetically inherited. About 1 in 10 people with keratoconus have a parent with the condition. Keratoconus is also more common among people with other genetic conditions, including Down syndrome. Keratoconus most often begins in teenagers and young adults ages 10-25 and progresses slowly over the course of 10-20 years. 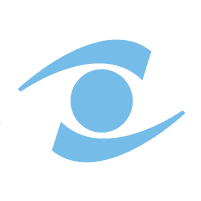 How is Keratoconus Diagnosed and Treated? Then, Dr. Nedrud recommends the best treatment based on the severity of your condition. Treatment may begin with specialized glasses or contact lenses to correct your vision. Severe cases of keratoconus may require surgery, such as a corneal transplant. Dr. Nedrud is a corneal transplant (keratoplasty) specialist. To learn more about treating keratoconus, call Rocky Mountain Eye Center or book an appointment online today.